Four P's In A Pod: Hoppy Easter Every Bunny! 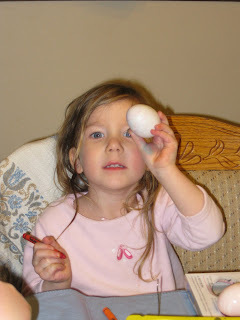 Perhaps she's saving the "face" eggs to replace the chicks that are going in the garbage can? The pictures are too cute! 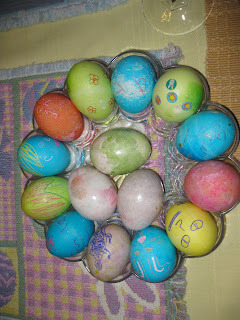 I love all the colorful eggs. 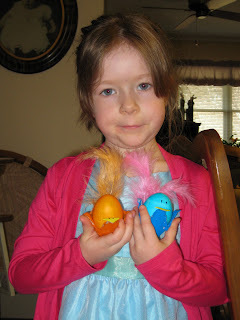 Maybe the Easter Bunny can come back and collect all the face eggs before they start to smell?